BROWN+STOREY were commissioned with Rodger Todhunter Associates (landscape architects/planners) to produce a Capital Design Strategy for the area around the intersection of Carlaw Avenue and Dundas Street in Toronto. Wedged between more conventional residential neighbourhoods and a historic railway corridor, this former industrial precinct was in the middle of undergoing rapid change, as rising property values were pushing out the artists and artisans who had repurposed the under-used railway-age industrial warehouses and manufacturies. 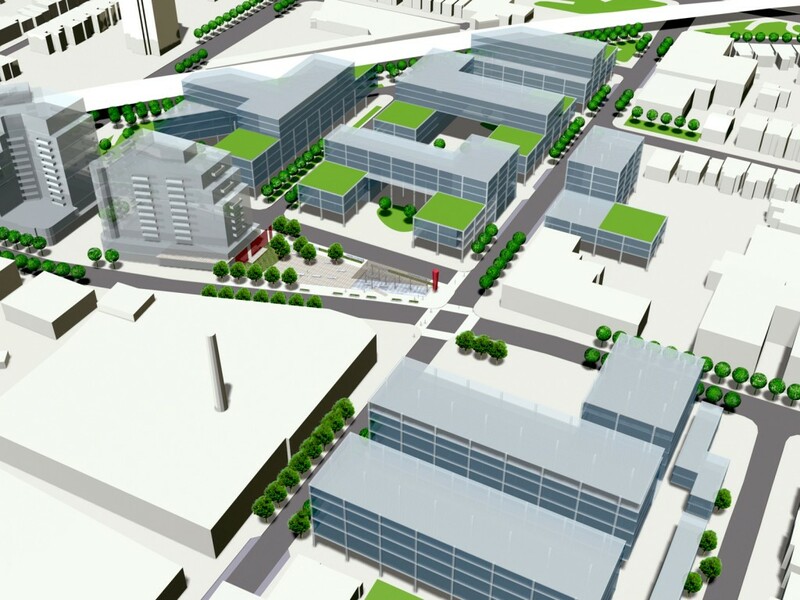 The Capital Works Plan developed through this study proposed a set of investments in public spaces and streetscapes, designed to work together to enhance and accelerate the development of a unique and revitalized urban district in the quarter. The study also proposed a novel built form, modelled after the existing multi-floor warehouses and manufacturies, and built on the example of Rotterdam’s De Boompjes redevelopment, where the multi-storey dock warehouses provided a template for flexible new mixed-use structures. Carlaw-Dundas has seen significant redevelopment since the completion of our study, including substantial new buildings by Streetcar Developments. 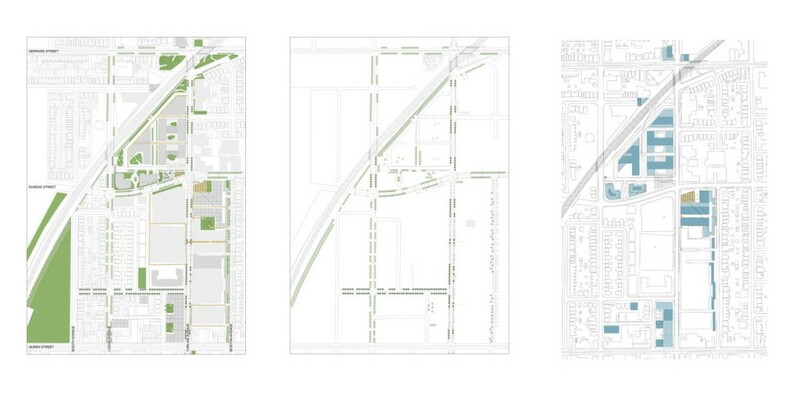 Improvement of the public spaces of the Quarter, including the seams where it meets the rail corridor to the west/north and the residential neighbourhood to the east, is now being taken up by the city and neighbourhood under the Carlaw + Dundas Community Initiative.